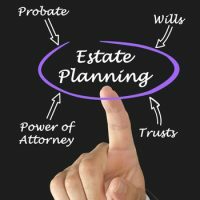 Trusts are a powerful tool in estate planning. They allow you to distribute property and assets to your beneficiaries while avoiding complicated and potentially costly probate hearings, offer tax benefits, and can help shield you against collections from creditors or in lawsuits. There are a variety of trusts you can select to suit your specific purposes, and the following outlines some of the most common types you may want to consider as part of your overall estate plan. Revocable trusts allow you to transfer assets while still retaining control and as the name implies, can be revoked at any time. Irrevocable trusts, in which the assets included are no longer considered yours and once created, cannot be changed or altered in any way. Creating a trust does not take the place of or mean you should neglect making a will. Trusts allow you to transfer and protect certain specific assets, while your will addresses your estate as a whole and how it will be distributed. Generation-skipping trusts, which let you transfer substantial amounts to future generations, such as grandchildren and great grandchildren, while avoiding taxes. Additional types of trusts to consider are charitable trusts, designed to benefit a particular cause or nonprofit, and special needs trusts, which can help provide for family members who receive government benefits. For professional legal guidance in establishing an estate planning and determining the right type of trust to suit your needs, contact the offices of Cavallo & Cavallo today. Our knowledge of state and federal laws and our skill in handling a variety of different types of complicated estate planning matters both ensure that the current and future needs of you and your loved ones will be protected. We serve the Bronx, New Rochelle, and the surrounding areas; call or contact us online to schedule a consultation with our professional estate planning attorneys today.